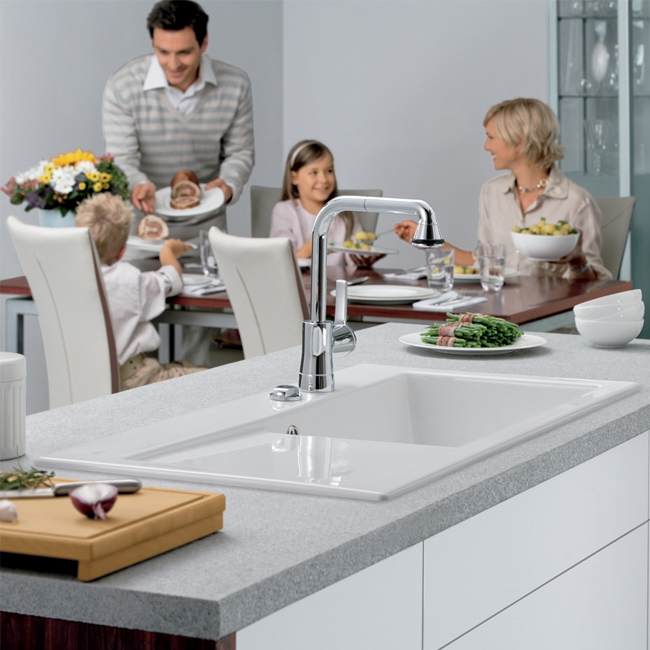 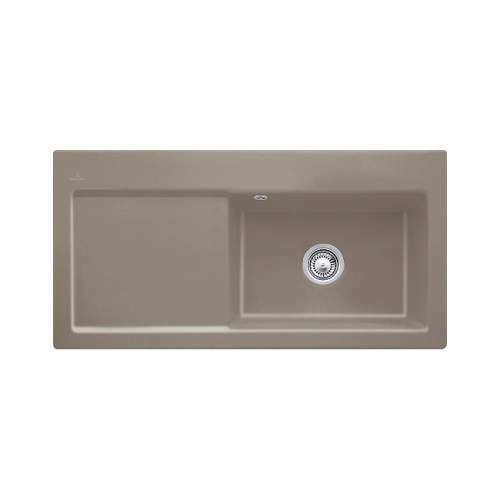 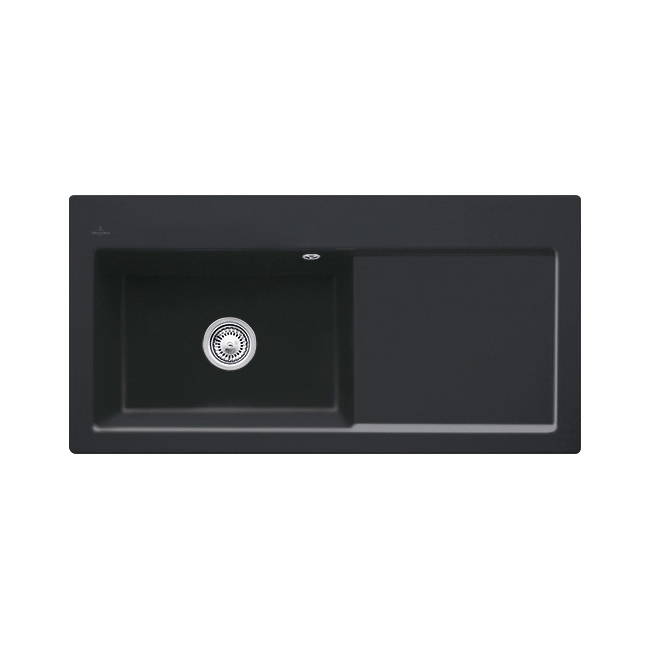 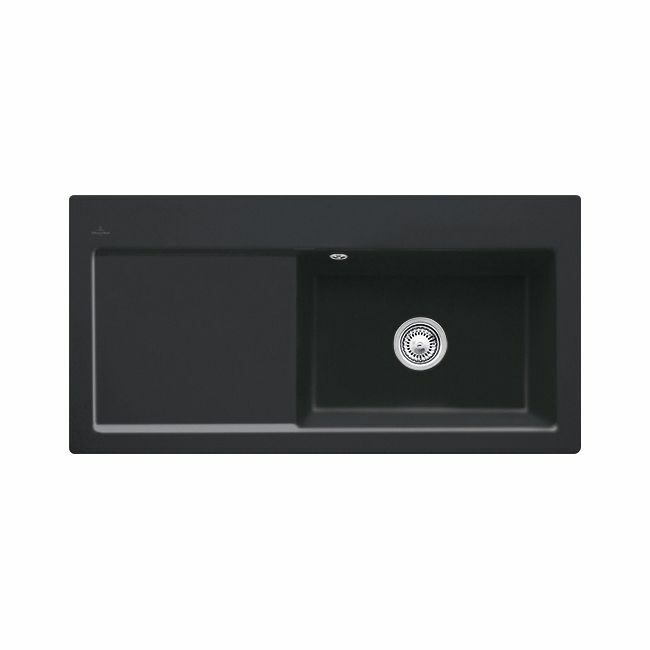 The Villeroy & Boch Subway 60 XL single bowl sink - premium line is a high quality ceramic, large single bowl sink and drainer with a ceramicplus coating. 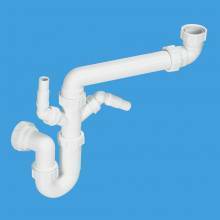 It features a 3.5" (90mm) waste outlet which is suitable for use with a waste disposal unit (an extended flange is required). 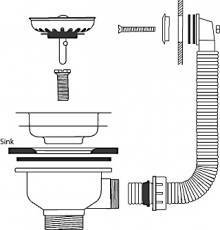 The sink is supplied with one pre-drilled tap hole and is available with either a left or right hand drainer. 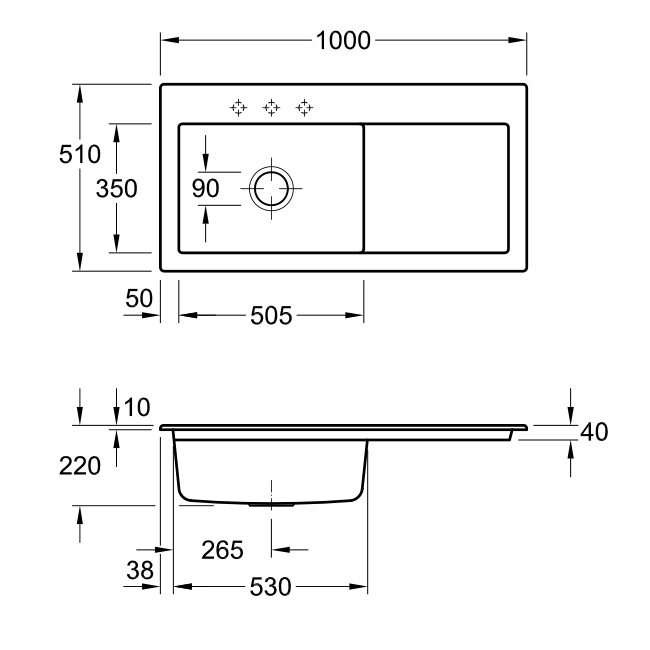 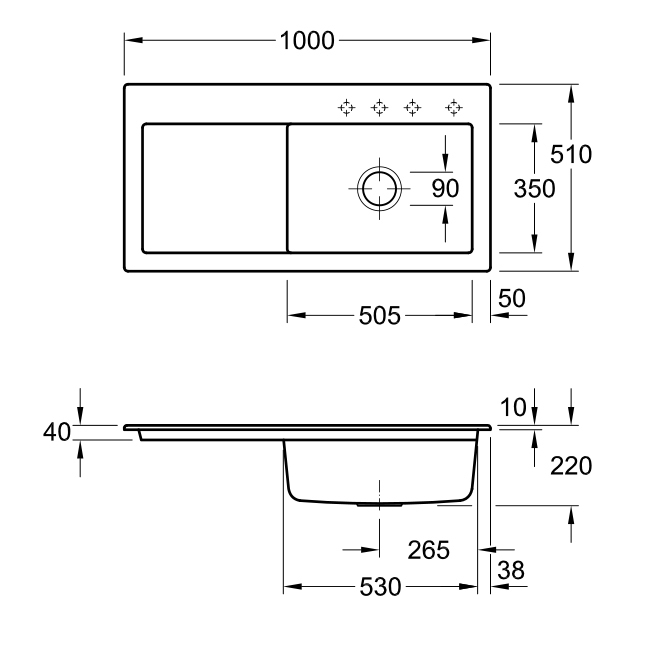 This sink weighs approximately 30kg and requires a minimum base unit of 600mm. Waste kit is sold separately. 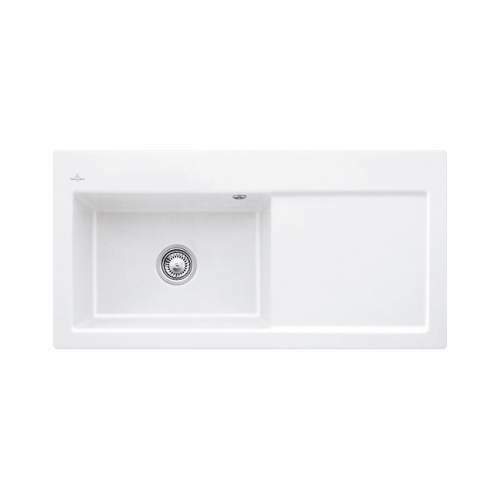 If you are looking for a Ceramic kitchen sink with amazing attention to detail as well as being extremely practical, then look no further than the Subway 60 XL kitchen sink available from Villeroy and Boch. 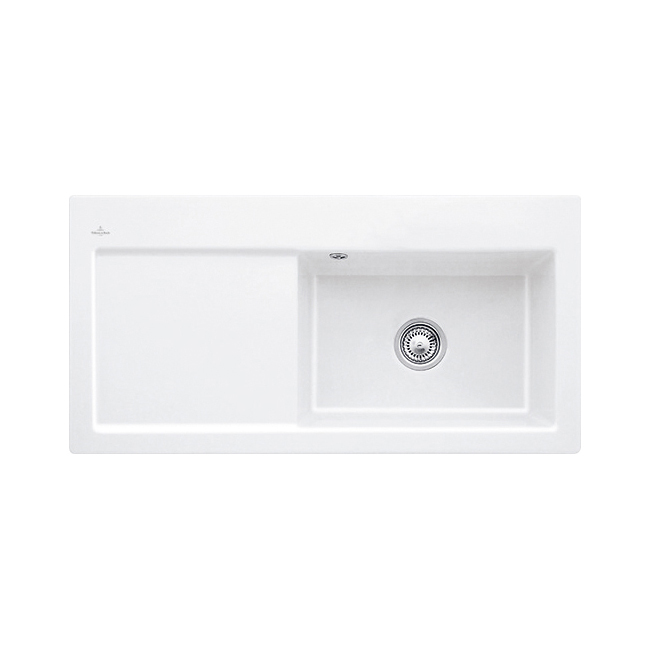 We have a wide range of kitchen sinks available including inset kitchen sinks, undermounted kitchen sinks and Belfast kitchen sinks. Within the Villeroy and Boch range of products you will always find the traditional and ever popular white finish. 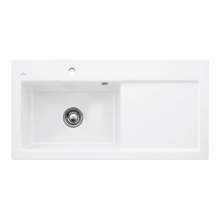 However, we also have the wide range of Villeroy and Boch colours available, such as Cream, Black, Chromit and many others. It should be noted that a coloured sink option from Villeroy and Boch is a special order item and can take 4-6 weeks to be manufactured. In comparison, we hold most of the models in white, in stock, available for a fast UK delivery.